Download "Implications. removing sulphur in. Diesel & Gasoline. Under. Euro IV fuel regime"
2 Role of fuels Diesel & Gasoline Fuel serves three major functions in a diesel engine. 1. Energy source to drive the engine 2. It is the lubrication for fuel pumps & injectors. 3. Coolant for the injector In addition fuels should be compatible with the various gaskets, seals found in the systems. Good compatibility means expansion or marginal swelling so that at high or low temperatures there is no leakage. If gaskets or seals are not compatible then they may contract, become brittle over time and crack, resulting in leakage of fuel, gas and oils. Euro IV compliant Fuels: seek dramatic reduction of Sulphur Clean air act has mandated Sulphur levels reduced to less than 15 ppm. Euro IV fuels introduced in 2005 demand fuel has 50 ppm Sulphur and to progressively move to a 10 ppm regime. Euro IV introduced in 2009 mandates 10 ppm sulphur. Most of Europe, US, Japan, Australia already Euro IV compliant. Among Asian countries, Singapore, Korea, Taiwan, 10 metros in India also compliant. Progressive changes in the Euro fuel regime to meet environmental requirements. 3 Sulphur is removed at the refinery by a process called Hydro-treatment. Sulphur reduction also removes. 1. Natural lubricity compounds a. Hence no protective barrier between metal surfaces can result in damage to vital engine components. b. Consequently ASTM has put in lubricity specification in 2005 on all D975 middle distillate fuels. 2. Natural conductivity properties c. As fuels conductivity is decreased, a potentially dangerous situation may be created. A static charge can readily build up in the fuel while it is being pumped and / or going through fine filtration. 3. Changes in combustion properties. d. The hydro treatment at the refinery reduces the Cetane to the 40 s. Modern engines are largely computer controlled and deliver optimal results with a Cetane number range of 45 to 51. Lubricity: Without use of lubricity additives, most fuel would not have lubricity required to protect fuel injection systems. The ASTM specification (D6079) requires that the wear scar from the lubricity test be 520 microns or less. However many OEM s recommend a wear scar of 460 microns or even lower, that is the European specification. Fully synthetic esters are widely accepted component in Fuel additives. Mono acids, amides and dimmer acids additives may react with the combustion carryover (water etc.) and other additive package available in fuels and engine oils. The current lubricity test was developed to protect rotary fuel pumps and may not fully provide the protection in modern fuel injectors or barrel and piston type pumps where clearances are smaller. One theory is that the replacement additives are 1. Settling down in tanks & pipelines. 2. As blending at dealer level - some irregularity in consistency and quantity. (In cases probably not dosed at all, as this action is delegated to dealers, Agents etc.. Injector manufacturers Bosch observe 1. Increase in claims for warranties / replacements. 2. Approx cost for replacement could as high as US $ 300 to 400 each. There are 6 to 8 injectors in each of the medium sized engines. Conductivity: ULSD no longer have the ability to dissipate the charge without an additive. This can lead to sudden arcing or sparking in the vapor phase, often with catastrophic results. Static dissipater additive are required for ULSD fuels and most LSD. Fully synthetic esters have the least effect on static dissipater additives. 4 The ASTM specification for conductivity is 25 Pico siemens / meter and time and temperature loading. Some lubricity additives may disarm the static dissipater additive over time. This may cause conductivity of fuel to drop and in danger of ignition from static electricity. Sulphur - Role as Biocide: Sulphur is widely used as an antiseptic in medicines. In fuels its presence controls microbial growth. The removal of sulphur and phenolic compounds in fuels makes an ideal situation for microbial growth to occur. This is noticeable in overhead/underground bulk storage tanks. Biocides have thus become necessary in diesel fuels. With introduction of bio diesel fuels use of biocides has become a necessity. Options available - After-treatment with additives Since 1975 triboapplications utilized solid boundary additive in the carrier oil acting as a barrier of molecules between moving parts with the following: 1. ZDDP 2. Phosphorus 3. Sulphur 4. Over based Calcium Sulfonate These additives unfortunately are also Highly toxic Sacrificial (deplete) Inert (do not bond to metal alloy) become acidic Also corrosive Furthering the process of micro-pitting Separately (and more important!!! to protect the life, or extension of life of catalytic convertors) the Automobile manufacturers have insisted that the new series of engine oils i.e. the API CJ-4, GF4 and GF5 oils have ZDDP reduced to 1% Phosphorus reduced to 1% At this level little protection is offered, with the existing range of additives. However most of the Additive manufacturers have begun to offer newer series and recently developed packages to meet the GF4 and the latest, GF5 grade of engine oils. Conclusion: Unlike before, it has now become necessary to dose after treatment additives to engines. 5 Typical after treatments additives Ideally, after treatment additives that perform the following functions are desirable 1. Cleans carburetors 2. Cleans fuel injectors 3. Cleans intake valves and ports 4. Cleans combustion chamber Additionally it should 1. Lubricate pressure pump. 2. Lubricate fuel injectors 3. Lubricate & re-generate seals, gaskets & O-rings. 4. Diesel Fuel Additives that improve Cetane number 8 to 10 numbers. 5. Special additives that boost pour point in cold environments. 6. Special additives that contain electro static build-up. 7. Special Additives that impart biocide action to prevent growth of fungus and algae. ULSD Corrosion: Finally, an Answer? Chemical incompatibility may cause dramatic filter plugging. This may happen when fuels with incompatible additive packages are mixed. - Service Bulletin - Pistons. Permission granted to reproduce for educational use only. DDC-SVC-BRO-0001 Lubricating Oil, Fuel, and Filters Specifications are subject to change without notice. Detroit Diesel Corporation is registered to ISO 9001:2001. Copyright Detroit Diesel Corporation. ENGINE FUNDAMENTALS. Name Date Score _. Write the letter of the answer in each blank provided. EXPERIMENT NO. 3. Aim: To study the construction and working of 4- stroke petrol / diesel engine. OIL SPECIFICATIONS What is oil viscosity a.k.a. oil weight? What is the best motor oil viscosity? Fuel Polishing Frequently Ask Questions. What Can the OIL ANALYZERS Fluid Analysis Program Do For You? The Essential Guide To Motor Oil. Here's something your didn't know about motor oil. The Essential Guide To Motor Oil Here's something your didn't know about motor oil. Contents Introduction 2 What does motor oil do in my engine and why is it important? 3 What is motor oil made up of? PERIODIC MAINTENANCE SCHEDULE Daily and periodic maintenance is important to keep the engine in good operating condition. The following is a summary of maintenance items by periodic maintenance intervals. 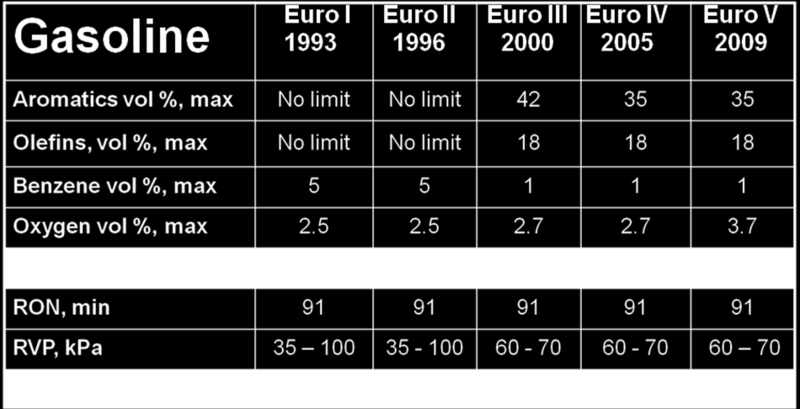 1/ Prevention of Valve-Seat Recession in European Markets, McArragher, Clark & Paesler, CEC/93/EF19, May 1993.